Because the nature of the speakeasy was that it was essentially a public place, yet one that was performing an illegal activity, some way of conveniently identifying people who were not associated with law enforcement was needed by the speakeasy industry. Initially, word of mouth and personal recognition served to identify people who could be admitted to illicit drinking establishments. However, as illegal drinking became more and more widespread, and more and more people wanted to do it, personal recognition of customers no longer sufficed. 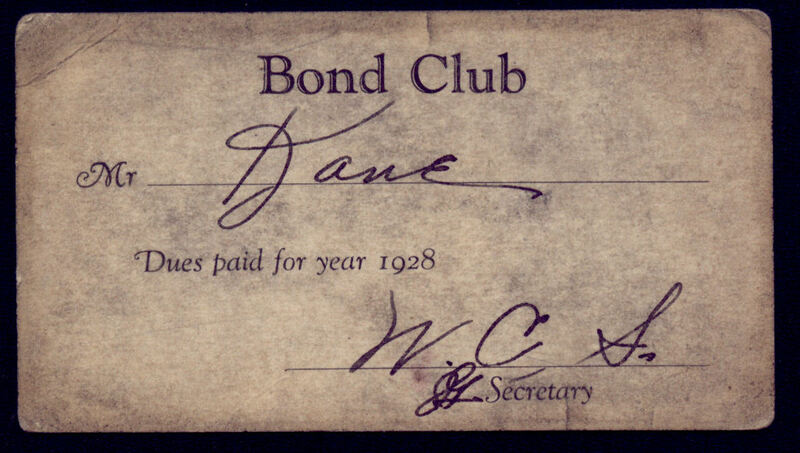 Some form of portable identification was needed, and the speakeasy card was the result. The cards which appear here are from the collection of the late Edmond B. Brown, and are c. 1928. Most are from New York City, where he was employed in the then-booming automobile industry, and where good customer relations always required taking the customer out for a drink. Click on any of the images to see a larger version of the card. 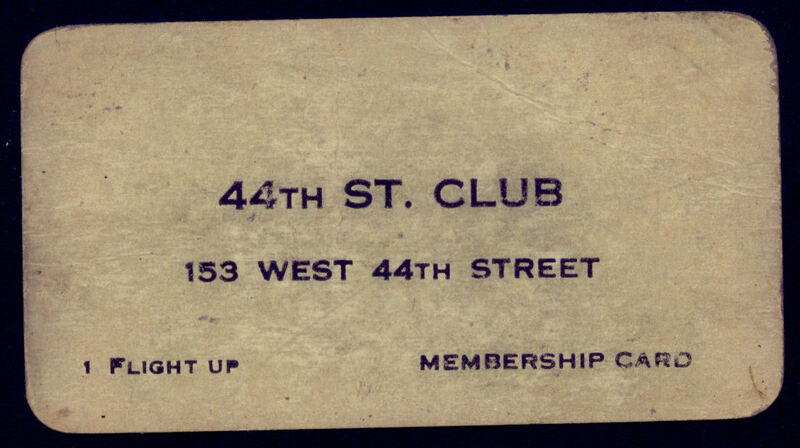 The 44th Street Club. Not much question what this place was. 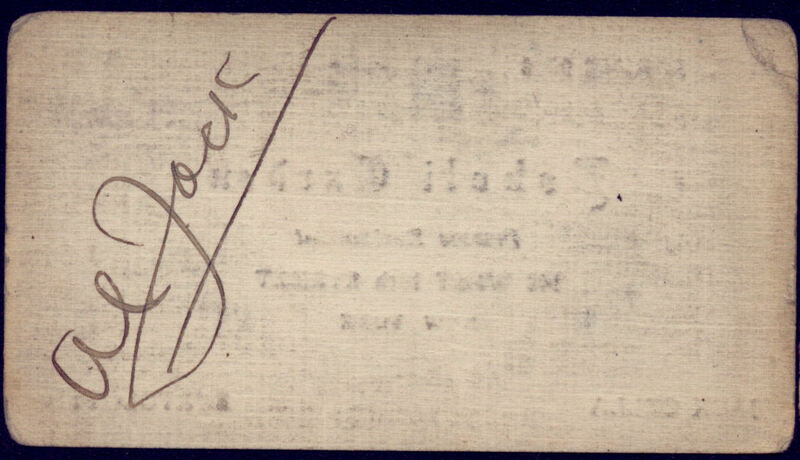 Whether the typographical error on the card was intentional (note the misspelling of "Goodmam") is open to question, but it could have been a technique for spotting counterfeit cards. Presumably Harry was the proprietor. 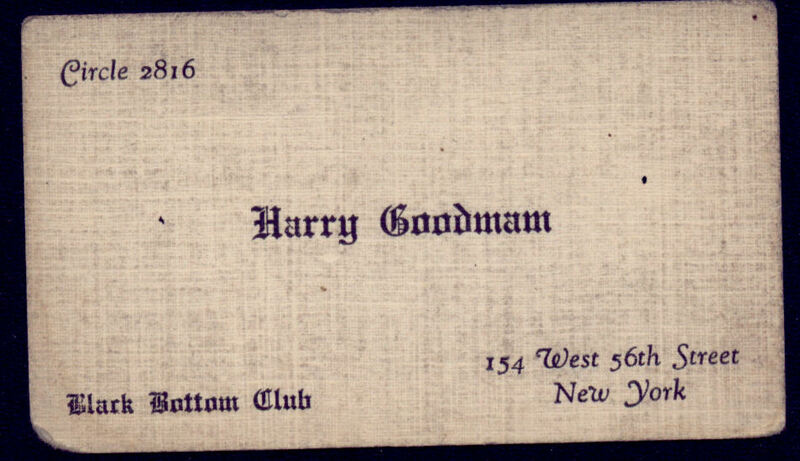 The card imitates the format of a social card of the era where the gentleman's club's name would appear on his cards. "Private Restaurant" was clearly a device by which customers could be screened before admission. Brown's wife was once heard to refer to this particular establishment as "that blind pig!". The term "blind pig" referred to a particularly low-class form of speakeasy without entertainment. 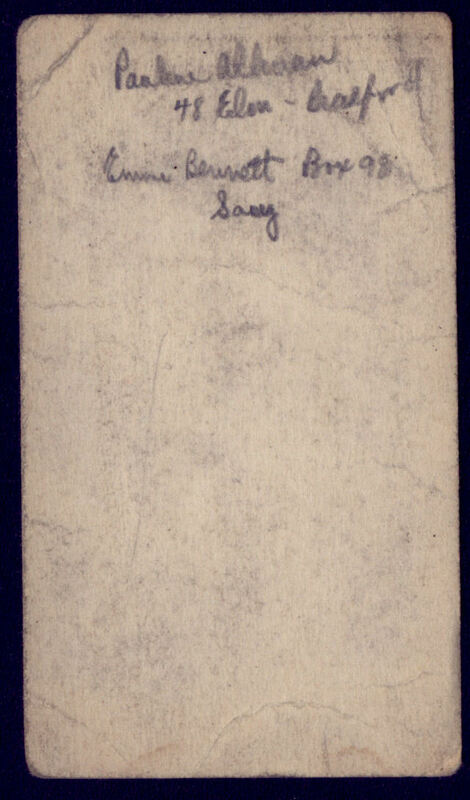 It appears that this inscription on the back of the card further verified it as genuine and the holder as authorized to enter. The private club device was often used by a speakeasy to restrict admission. Dues were nominal. Interestingly, the name of the holder of this card was not the same as the name on the card itself. Possibly the holder wished to be more or less anonymous. Note also that no address is given on this card, making it more difficult to find if law enforcement happened upon the card. 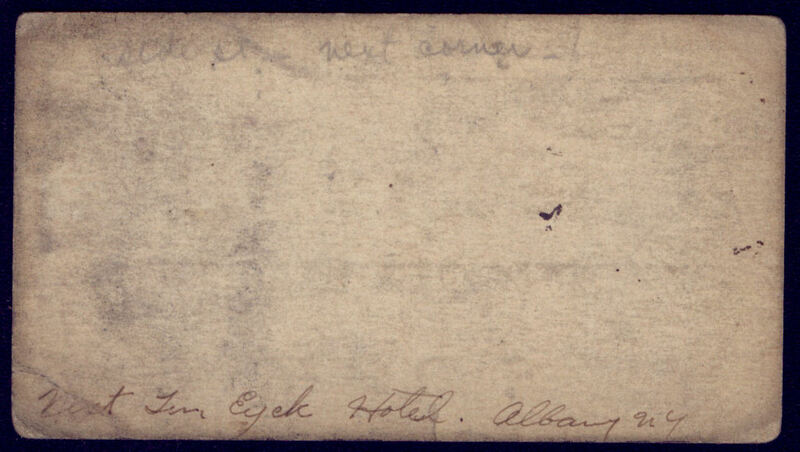 On the reverse of the previous club, we see just how hard the place was to find -- instructions are written to facilitate finding the place from the Hotel Ten Eyck in Albany, NY. 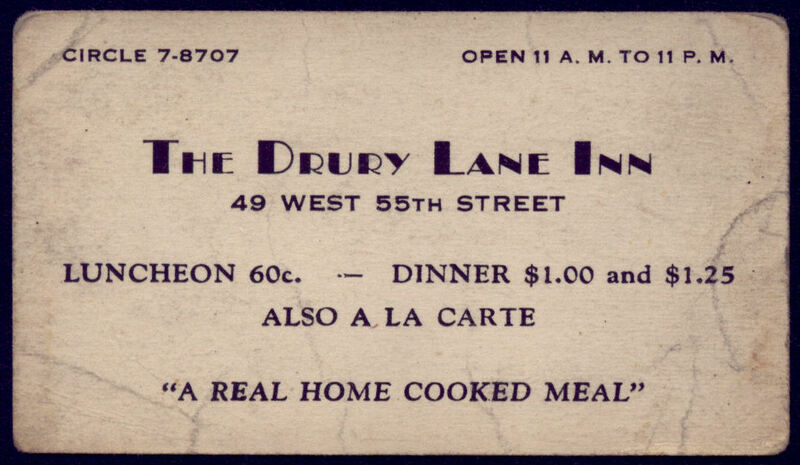 We do not know for sure that the Drury Lane Inn was a speakeasy! 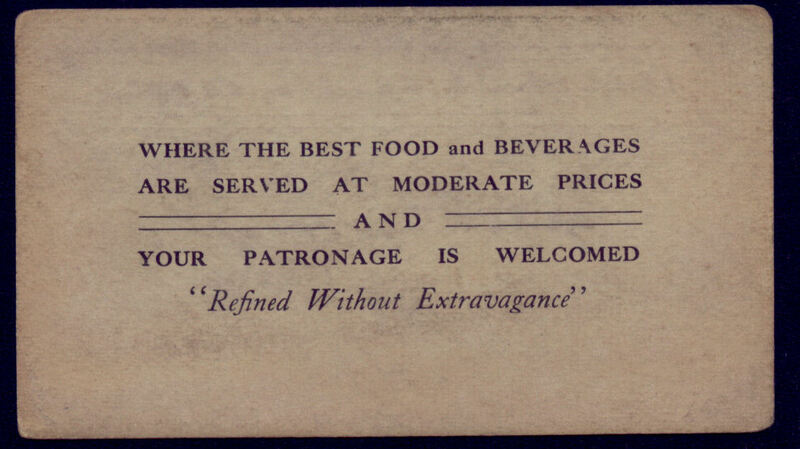 This simply looks like an ordinary business card for a law-abiding restaurant, which the establishment probably pretended to be. 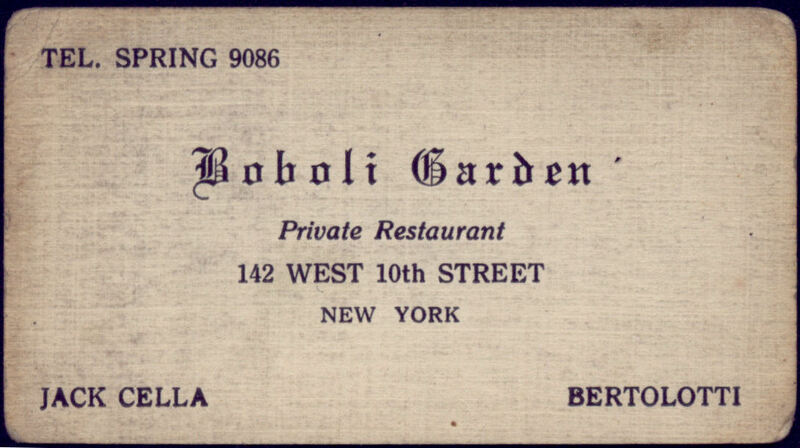 This is, frankly, guilt by association -- there was no good reason to keep a legitimate restaurant's business card with one's speakeasy cards. We also do not know who these ladies are. Brown was not married until 1929, so they could have been young ladies whom he met at that establishment. 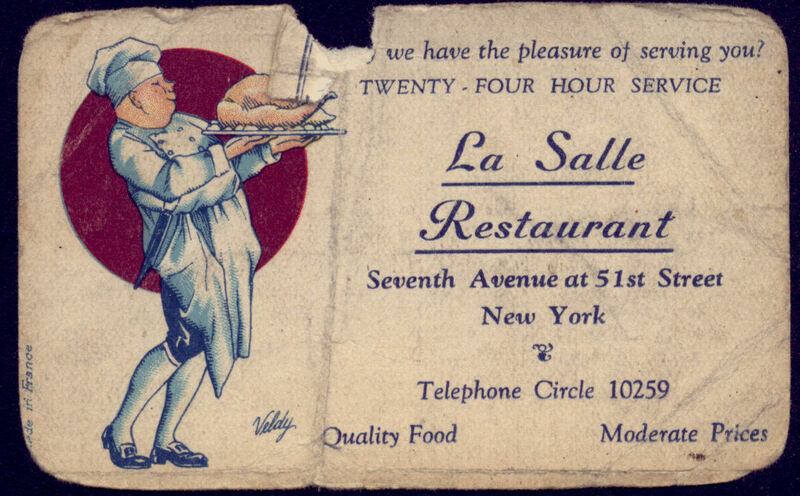 Again, the LaSalle Restaurant could have been a legitimate restaurant. However, the color printing would have made this card more difficult to copy than others, and the additional typefaces used would further compound the problem in an era before color copiers. 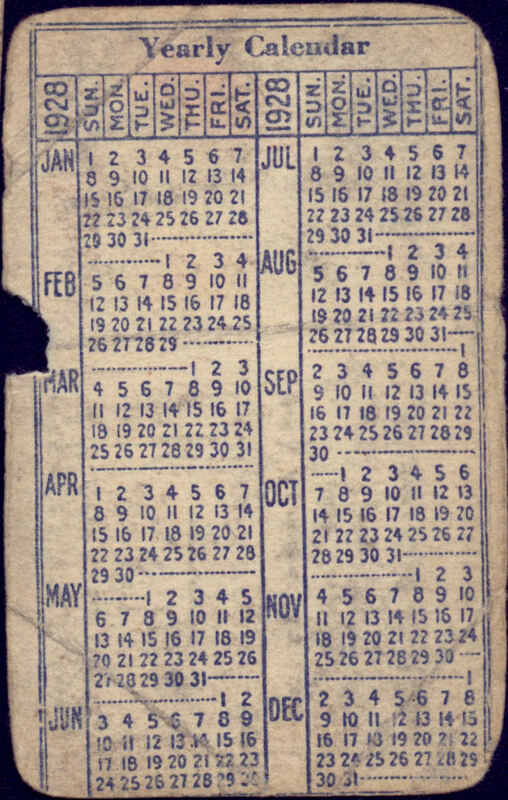 The back of the LaSalle Restaurant card -- a calendar of the year 1928 -- increases the probability that this was a membership card masquerading as a business card. The artifice of the calendar permits the person checking cards to ensure that the membership is current. The Richmond Grill may or may not have been "A Unique Place" but it says it is. 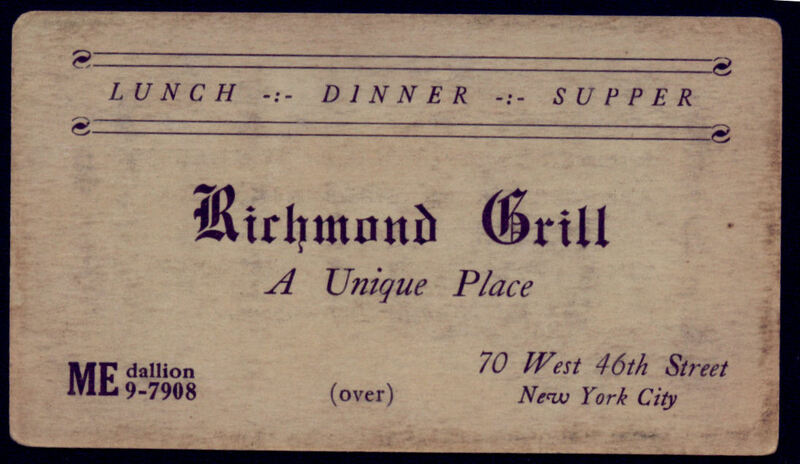 The back of the Richmond Grill card. 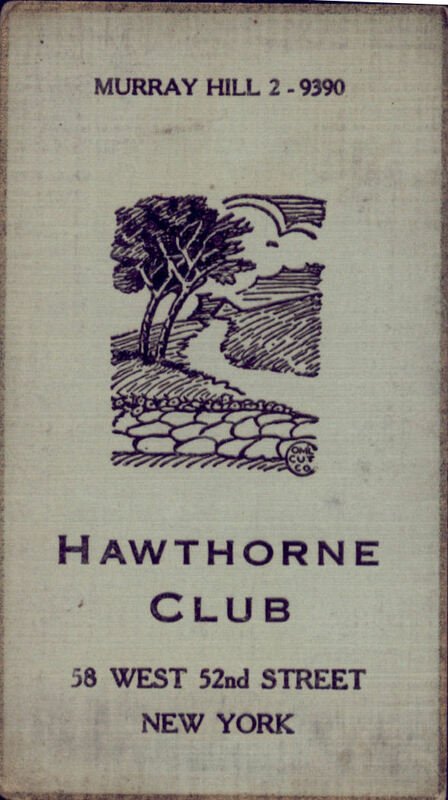 We know nothing about the Hawthorne Club -- perhaps it was a reading group for the works of Nathaniel Hawthorne, but we seriously doubt it.